It’s not just a diet! We’ve all heard about eating more anti-inflammatory foods. But inflammation can come from so much more than just our diet. Simply put, inflammation is the immune system’s response to a stimulus that’s viewed as foreign or toxic to your body. 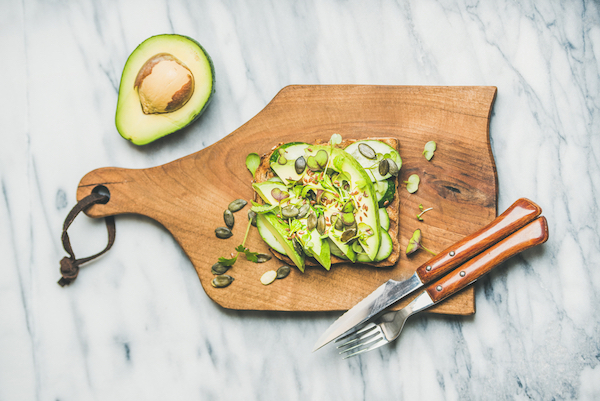 It’s one of the reasons why we advocate loading up on antioxidant-rich foods; they are responsible for targeting and removing these free-radical compounds. Beyond kale and pomegranates, there are a number of anti-inflammatory lifestyle changes that are just as—if not more—effective as what you put into your body. Here’s how to reduce inflammation from the outside in. Ideally, seven to eight hours of restful sleep are needed per night. Sleep is when your body is able to heal from the emotional and physical traumas of the day. Cut too short, poor sleep quality can promote inflammation. Yes, it’s tempting to stay up late to catch up on work or the latest Twitter drama. However, prioritizing sleep may be the most effective way to combat both your to-do list and get your summer body. Skimping on sleep is a little like having a margarita before going into the office. A lack of sleep dulls activity in the brain’s frontal lobe, which aids in decision making and impulse control. A study in the American Journal of Clinical Nutrition found that when people were sleep-deprived, late-night snacking increased. They were also more likely to choose high-carb snacks. For better sleep, keep your bedroom cool, dark and comfortable. Remove the TV and your phone and allow yourself time to unwind and settle before bed. 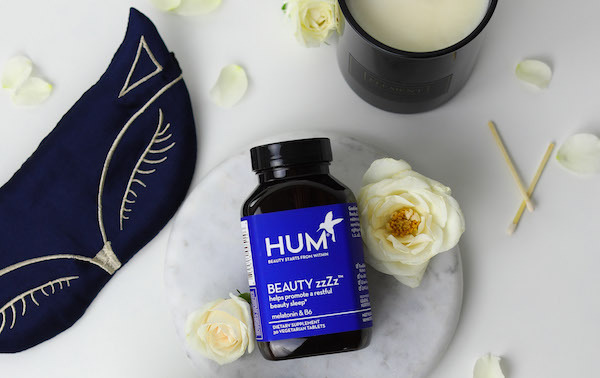 If you still have trouble sleeping, grab a bottle of HUM’s Beauty zzZz. 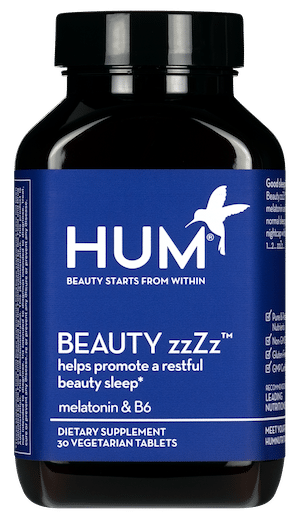 This melatonin supplement helps maintain a healthy circadian rhythm. However you prefer to sweat, exercise is another way to reduce inflammation. It improves circulation and lymphatic flow. Anything that gets your heart pumping works. Try a dance class with friends, hiking while listening to a podcast, or a hot yoga class. Ideally, you’re sweating most days of the week for at least 30 minutes. Having trouble getting motivated? Consider how good it feels to move your body. Then, focus on the enjoyment rather than the calorie burn. Stress and anxiety also trigger inflammation. Here’s how it works. When we feel a sudden rush of an uncomfortable emotion, the body interprets it as a response to an internal invader. It then releases inflammation markers as a result. The more stressed you are, the more likely you are to trigger the inflammation cascade. That said, we all get stressed. The key is learning to adapt and respond to it in a positive way. It’s almost impossible to reduce stress in our busy lives, but we can change how we react to it. There are so many options for stress reduction. Pick a few that you know work for you. Whether that’s deep breathing, meditation, or journaling, it’s good to have a few options in your toolbox. Look, it’s impossible to live a completely chemical-free life. The goal should be reducing exposure where you can. Whether we’re talking about artificial colors, endocrine distributors (like BPA or parabens), mercury from fish, or pesticide residue, there are small ways we can work to limit our interaction with them. For most of us, it starts with the diet. Becoming aware of where your food comes from is a good first step, especially regarding animal protein and product packaging. Don’t let perfect be the enemy of good. Assess where you currently are and see where you can make small changes. Consider reducing highly processed foods, excess refined sugars, and trans fats. Then load up on vegetables, fiber-rich whole grains, and plant-based proteins. Finally, practicing gratitude helps us see our situation in a new way. It can lessen panic and open us up to new solutions. Practicing gratitude shifts our response to stress, which reduces inflammation markers. Research also shows that gratitude makes us happier, improves health, and strengthens existing relationships. So, what are you waiting for? Grab a notebook and jot down five things you’re grateful for at this moment.